You're Invited To Nickelodeon's Ho-Ho Holiday Special! In a new spectacular hour-long variety special featuring musical numbers and comedy sketches, every Nickelodeon star under the sun, including Brec Bassinger, Buddy Handleson and Coy Stewart from "Bella and the Bulldogs", Benjamin "Lil P-Nut" Flores, Jr. from "Game Shakers", Kira Kosarin and Jack Griffo from "The Thundermans", Lizzy Greene, Aidan Gallagher, Casey Simpson and Mace Coronel from "Nicky, Ricky, Dicky & Dawn", Isabela Moner from "100 Things to Do Before High School", Jace Norman from "Henry Danger", and Breanna Yde from "School of Rock", shows up for the most amazing holiday party ever. However, it soon becomes clear that the whole evening is an evil trap devised by a mysterious stranger. The stars now have to struggle through various holiday-themed obstacles and challenges if they want to escape and find their way ho-ho-home. So come for the carolling, stay for the snowflakes and watch all your favorite stars come out in "Nickelodeon's Ho Ho Holiday Special"! Follow NickALive! on Twitter, Tumblr, Google+, via RSS, on Instagram, and/or Facebook for the latest Holidays on Nickelodeon and Nick's Ho-Ho Holiday Special News and Highlights! Meet SwaySway And Buhdeuce - "Breadwinners"
Watch "Breadwinners" on Nickelodeon and Nicktoons! Human Colosso - "The Thundermans"
Watch "The Thundermans" on Nickelodeon! Nickelodeon Northern Europe has announced the exciting Nickelodeon International news that Nickelodeon Germany, Nickelodeon Switzerland and Nickelodeon Poland will start to premiere and show Nickelodeon's brand-new original comedy series "Game Shakers" every Sunday from Sunday 10th January 2016, beginning with the shows one-hour series premiere, "Sky Whale"! Nickelodeon Northern Europe will premiere each brand-new episode of "Game Shakers" every Sunday at 18:30 on Nickelodeon Switzerland (Schweiz), 18:50 on Nickelodeon Poland (Polska), and at 19:15 Uhr on Nickelodeon Germany (Deutschland)! 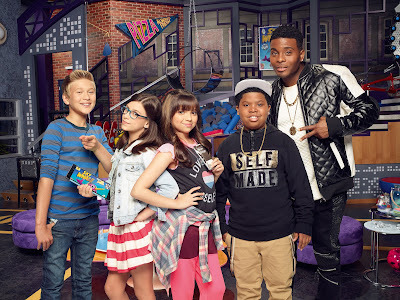 Although unconfirmed, it is expected that Nickelodeon Austria (Österreich), Nickelodeon Switzerland (Schweiz), Nickelodeon Netherlands (Nederland), Nickelodeon Belgium (België; Flanders), Nickelodeon Denmark (Danmark), Nickelodeon Sweden (Sverige) and Nickelodeon Norway will also debut Nick's all-new sitcom "Game Shakers" at the same time. Created by hit-maker Dan Schneider ("Henry Danger", "iCarly", "Victorious", "Sam & Cat", "Zoey 101", "Drake & Josh", "Kenan & Kel"), "Game Shakers" follows a pair of 7th grade girls, Babe (Cree Cicchino) and Kenzie (Madisyn Shipman), who, after creating a wildly successful mobile game app called Sky Whale for a science project, start a gaming company in Brooklyn called Game Shakers with their friend Hudson (Thomas Kuc). They're making games and kicking app! Leading up to the debut of "Game Shakers" on Nickelodeon Germany, viewers can play "Sky Whale", the game featured in the series' premiere episode, on iOS and Android by downloading the app for free! To celebrate Nickelodeon Germany debuting "Game Shakers" in January 2016, nick.de, nick.ch and nick.com.pl have launched their official "Game Shakers" show websites, which currently features photos of the cast of the series! Sources: Nick Pressecenter, Nick Prasa. Additional source: wunschliste.de. Huge thanks to Nickelodeon Fans for the news! Follow NickALive! on Twitter, Tumblr, Google+, via RSS, on Instagram, and/or Facebook for all the latest Nickelodeon Northern Europe and Game Shakers News and Highlights! The children's entertainment and media news website Kidscreen is reporting the very exciting news that Nickelodeon has greenlit a brand-new project from Dutch production company that will yield two new series: An English-language, globally commissioned production titled "The Ludwigs", and "De Ludwigs", a Dutch-language production commissioned by Nickelodeon Netherlands (Nederland)! The new series for kids ages six-to-12 (20 X 30:00 minute episodes) follows the comedic adventures of five foster children who are on a quest to find out what happened to their foster parents, Mr. and Mrs. Ludwig, after they mysteriously disappear. While they work to unravel the mystery, the kids must keep up appearances that everything's fine at home, and fend off the Ludwig's greedy and duplicitous heirs. "De Ludwigs" will air on Nickelodeon Netherlands in Spring of 2016, and English-language "The Ludwigs" will begin airing on Nickelodeon channels globally in the second half of 2016. Both productions will be filmed and produced by Blooming Media in Amsterdam next year and will share the same sets. Nickelodeon is going back to where it all began. When Europe-bred House of Anubis launched in the US in 2011, the mystery series marked Nickelodeon's first global live-action production filmed outside the US that went on to perform well on both domestic and global levels. Since then, the net has been actively pursuing a similar simultaneous production strategy, wherein series are produced in local territories and for the global market at the same time. Every Witch Way and Talia in the Kitchen, both of which were locally made by Nickelodeon Latin America before being primed for the world stage, followed the Anubis blueprint. (Talia is set to go worldwide in 2016). 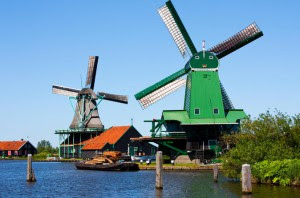 Now, the net is focusing its attention on The Netherlands production scene once again. (Nickelodeon Netherlands worked with Belgian-based Studio 100 to co-produce the original, Dutch-language version of House of Anubis - Het Huis Anubis – in 2006). Local prodco Blooming Media has received the greenlight on a new project that will yield two new series: An English-language, globally commissioned production titled The Ludwigs, and De Ludwigs, a Dutch-language production commissioned by Nickelodeon Netherlands. Both productions will be filmed and produced by Blooming Media in Amsterdam next year and will share the same sets. "We started to look outside of Latin America, and Ludwigs will take the same structure as Talia and Every Witch Way in that it will be filmed locally with one set and one storyline, but with different scripts," says Jules Borkent, SVP of global acquisitions and international programming at Nickelodeon, Viacom International Media Networks. "There are a lot of markets that have demand for local live-action content, and Holland is one of those places. There's a big market for Dutch comedy drama. We did House of Anubis, but we've never done an English-language version out of Holland. So it's super exciting." The new series for kids ages six to 12 follows the comedic adventures of five foster children who are on a quest to find out what happened to their foster parents, Mr. and Mrs. Ludwig, after they mysteriously disappear. While they work to unravel the mystery, the kids must keep up appearances that everything's fine at home, and fend off the Ludwig's greedy and duplicitous heirs. De Ludwigs will air on Nickelodeon Netherlands in spring of 2016, and English-language The Ludwigs will begin airing on Nick channels globally in the second half of 2016. "Audiences these days are so globalized. Amsterdam is very much a part of the story in The Ludwigs, and locations for us act as characters in the story," notes Borkent. "We really try to bring in local culture to kids shows and feel there is diversity in that. And there is a strong desire to expand on that." Follow NickALive! on Twitter, Tumblr, Google+, via RSS, on Instagram, and/or Facebook for the latest Nickelodeon International and The Ludwigs News and Highlights! Nickelodeon, the number-one entertainment brand for kids, and Dubai-based pay-TV network OSN have announced the arrival of the Emmy Award-winning Nickelodeon Play app in the Middle East and North Africa (MENA) region! 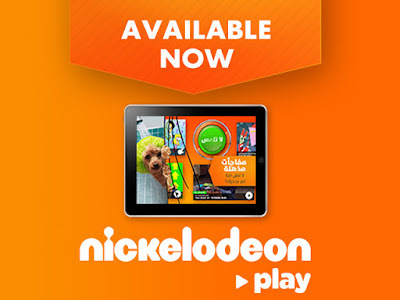 Launched on Sunday 29th November 2015, Nickelodeon Play is available to download for free from the Apple app store for iOS devices and Google Play for Android devices. While Nickelodeon Play, formally the Nick App, is free to download throughout the region, OSN subscribers also have access to full-length episodes of hit Nickelodeon shows such as "SpongeBob SquarePants" via their OSN credentials. 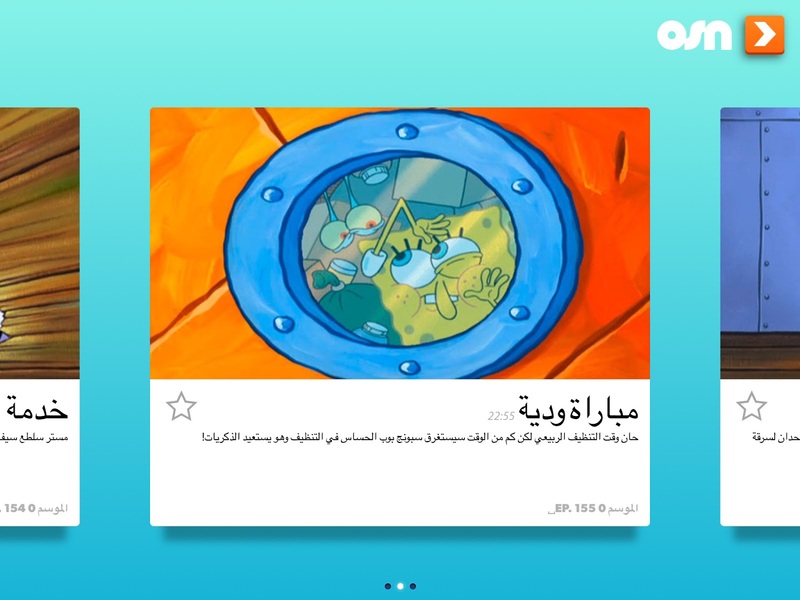 Nickelodeon Play features a neat functionality, including an innovative tile layout that can be swiped in any direction, promotes discovery and exploration and offers kids instant and on-demand access to more than 1,000 pieces of Nickelodeon-themed content in both English and Arabic. In addition to exclusive content for OSN subscribers, there will be original skits and sketches, behind-the-scenes clips from Nick stars and animated characters, and new games. Since launching on iOS in the US in 2013, the app has amassed more than 17 million downloads to date, rolling out internationally across the UK, Latin America, Northern Europe and Australia. The goal of the app was to go beyond free video viewing, and instead offer more interactive content not seen on television - whenever and wherever the user wants it. As a result, it was honoured with a Creative Arts Emmy in the Outstanding Creative Achievement in Interactive Media category in September 2013, as well as a Broadcast Digital Award in 2014 and a Meffy Sector Award in 2015. 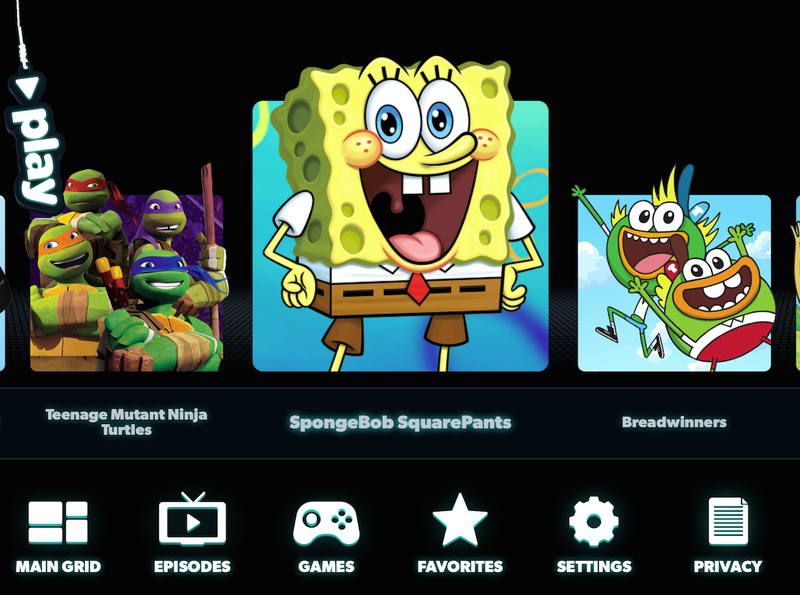 Nickelodeon Play is part of the Viacom Play Plex suite of mobile TV apps. Nickelodeon HD is available exclusively on OSN in the MENA region. Additionally, Nickelodeon UK has renamed the UK & Irish version of the Nick App to Nick Play! The update is available to download through the Apple and Google Play app stores. Original source: RegularCapital.com; Additional sources: C21 Media, TBI Vision, Advanced Television, Communicate Online, Digital TV Europe, DigitalProductionME.com, Broadband TV News. Blind Taste Test Challenge: Maria Vs. Galilea - "Talia In The Kitchen"
To celebrate Nickelodeon USA starting to premiere brand-new episodes from the all-new second season of "Talia in the Kitchen" from Monday 30th November 2015 at 7:00pm ET/PT, Nick USA has unveiled a fantastic sneak peek preview from the series' hour-long second season opener episode, "Storm and Grubb", which you can watch in the super online streaming video clip here on Nick.com! In the hour-long second season premiere episode of "Talia in the Kitchen", "Storm and Grubb" (#997), Talia (Maria Quezada) hides from a hurricane, until a mysterious boy discovers her; Aunt Tilly returns to take Talia and Julie (Galilea La Salvia) back to Boston. In the fantastic sneak peek, "Head in the Game", Will (Tommy Goodman) needs to stay focused and make sure that Talia doesn't surpass him as spice master! Nickelodeon USA will simulcast the brand-new "Talia in the Kitchen" special on TeenNick USA. Tune Into The 2015 Nickelodeon HALO Awards Tonight At 7/6c On Nick USA & Nick.com! Nickelodeon Australia has announced the very exciting news in a post on their official Facebook profile page, Facebook.com/NickelodeonAustralia, that Nickelodeon Australia and New Zealand will premiere the must-see concert event of the season, the 2015 Nickelodeon HALO Awards, on Friday 4th December 2015 at 6.30pm! Following the events premiere, Nickelodeon Australia and New Zealand will encore the 2015 Nickelodeon HALO Awards the next day, Saturday 5th December 2015, at 6:00pm! The HALO Awards are Nickelodeon's annual ceremony which honor young community leaders from across the USA. Hosted by Nick Cannon, the 2015 Nickelodeon HALO Awards will feature one-of-a-kind performances by Fifth Harmony, DNCE with lead singer Joe Jonas, Flo Rida, Tori Kelly and WALK THE MOON along with a very special guest appearance by Justin Bieber, who will be accepting the very first HALO Hall of Fame award! Nickelodeon Australia and New Zealand premiering the 2015 Nickelodeon HALO Awards marks the first time the awards ceremony has aired internationally. Follow NickALive! on Twitter, Tumblr, Google+, via RSS, on Instagram, and/or Facebook for the latest Nickelodeon Australia & New Zealand and 2015 HALO Awards News and Highlights! Tune Into The 2015 Nickelodeon HALO Awards This Sunday At 7/6c On Nick USA & Nick.com! Blind Taste Test Challenge: Ellis Ann Vs. Josh - "Talia In The Kitchen"
Check out The Splat's Nicksgiving highlights here on NickALive!, and watch The Splat every night from 10:00pm ET/PT on TeenNick USA! #TheSplat! Follow NickALive! on Twitter, Tumblr, Google+, via RSS, on Instagram, and/or Facebook for the latest Thanksgiving on Nickelodeon and The Splat News and Highlights! Foxtel is reporting the exciting news on the TV Guide on their official website, foxtel.com.au, that Nickelodeon Australia and New Zealand are currently premiering brand-new episodes from the all-new second season of Nickelodeon and Breakthrough Entertainment's hit live-action buddy-comedy series "Max & Shred" every Saturday at 6:05pm, as part of "All New Saturdays"! Following today's brand-new episode, Nickelodeon Australia and New Zealand will be taking a short break from debuting more all-new "Max & Shred" season two episodes. The Shifty Girlfriend 360: The family is surprised when Alvin suddenly has a girlfriend, but quickly grow fond of her. Max however smells a rat and stands up for his best bud when he thinks this new love is just using him. The Inverted Life Coach Layout: When Max's career aptitude test comes back inconclusive, he struggles with what he'll do after snowboarding. But when he tries his hand at being a life coach, he learns his ways aren't for everyone. The internationally successful buddy comedy chronicles the hilarious and unlikely friendship between Max Asher played by Jonny Gray, ("Annedroids", "Paranormal Witness 3"), a celebrity snowboarder, and Alvin "Shred" Ackerman played by Jake Goodman ("Life with Boys", "Saving Hope"), a science whiz-kid, who become roommates and instant "bros" when Max moves to Colorado to train for the Winter Cup. The show centres on the boys' odd couple relationship as they help and hinder each other through the trials of teenage life. Returning also for a second season are Emilia McCarthy ("Zapped", "Hemlock Grove") as Alvin's driven older sister Abby, and Saara Chaudry ("DeGrassi", "Isabelle Dances into the Spotlight") as Howie, Alvin's super smart eight-year-old protégé. "Max & Shred" is executive produced by George Doty IV, whose extensive writing credits include the hit Nickelodeon live-action series "iCarly", "Victorious", and the beloved buddy-comedy "Drake & Josh". Doty also served as story editor on the iconic animated series "Scooby Doo". Additional executive producers for "Max & Shred" include Breakthrough Entertainment's Joan Lambur, Ira Levy, Peter Williamson, Nat Abraham and Michael McGuigan. YTV executives are Jocelyn Hamilton, Vice President, Programming and Jaime Piekarz, Director, Content, Corus Kids. Nickelodeon Executives are Bronwen O'Keefe, Senior Vice President, Content Strategy and Zuri Rice, Vice President, Development and Production, East Coast. Additional source: Nickelodeon Australia & New Zealand's official Facebook profile page. Follow NickALive! on Twitter, Tumblr, Google+, via RSS, on Instagram, and/or Facebook for the latest Nickelodeon Australia & New Zealand and Max & Shred News and Highlights! Catch "The Splat" every night from 10:00pm ET/PT on TeenNick USA! #TheSplat. Wacky Deli Mayo - "Rocko's Modern Life"
Scavenger Hunt - "100 Things To Do Before High School"
Watch "100 Things to Do Before High School" on Nickelodeon! Follow NickALive! on Twitter, Tumblr, Google+, via RSS, on Instagram, and/or Facebook for the latest Nickelodeon UK and 100 Things to Do Before High School News and Highlights! "WITs Academy" star Jailen Bates was all smiles while passing out plates at the "Nickelodeon HALO Presents the Salvation Army's Feast of Sharing Holiday Dinner" on Tuesday 24th November 2015 in Los Angeles! The young actor attended the event at Casa Vertigo and was joined by several of his Nickelodeon co-stars for the charitable dinner. Also in attendance were "W.I.T. "'s Andrew Ortega, Ryan Cargill, and Kennedy Lea Slocum. "Every Witch Way" star Autumn Wendel showed up and posed alongside her co-star Ethan Estrada. 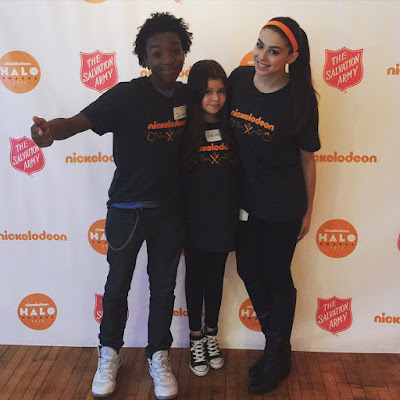 "The Thundermans" stars Kira Kosarin and Addison Riecke, "100 Things to Do Before High School" star Jaheem Toombs and "Nicky, Ricky, Dicky & Dawn" star Casey Simpson also attended the charity event! You can find 20+ pictures Jailen Bates and his Nickelodeon co-stars attending the charity event here on JustJaredJr.com! Whilst attending the Heroes and Villains Fan Fest in San Jose, "Arrow" star Stephen Amell revealed that fans can expect to see the first trailer for Nickelodeon Movies, Paramount Pictures and Platinum Dunes' "Teenage Mutant Ninja Turtles 2", in theaters around North America during December 2015! "If you're a Teenage Mutant Ninja Turtles Fan, then you're going to want to go to the theater in December before a relatively big movie that's being released for a fantastic trailer," said Amell, who will play Casey Jones in the film. "Teenage Mutant Ninja Turtles: Half Shell", a sequel to Nick and Paramount's 2014 fun-filled and action-packed blockbuster "Teenage Mutant Ninja Turtles" movie, will feature the Heroes in a Half Shell along with their reporter pal, April O'Neil, played by Megan Fox, saving the city from a dangerous threat. Also returning is Will Farell as Vernon Fenwick, who gets a new love interest in supermodel Alessandra Ambrosio. "Teenage Mutant Ninja Turtles II" will also feature fan favourites Casey Jones along with Bebop and Rocksteady, portrayed by Gary Anthony Williams and pro wrestler Sheamus, Brittany Ishibashi as Karai, Tyler Perry as the evil humanoid fly scientist Baxter Stockman, and Brian Tee as Shredder. 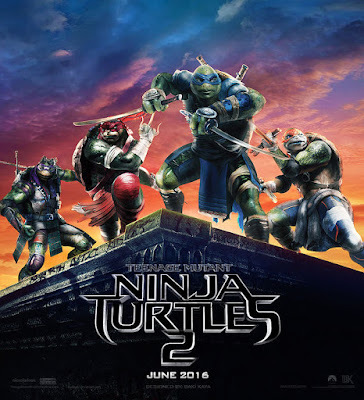 Laura Linney and J.J. Redick, along with a number of other players from the Los Angeles Clippers and the New York Knicks, will also appear in "Teenage Mutant Ninja Turtles 2: Half Shell", which will be released in theaters across the USA and in cinemas in the UK on Friday 3rd June 2016. General Krang, a commanding warlord in Dimension X in the popular "Teenage Mutant Ninja Turtles" comic book series, is also rumoured to be making a appearance in "Teenage Mutant Ninja Turtles II". According to reports, the character will be rendered using CGI. 2015 HALO Awards Honoree Spotlight: Riley Gantt, "Rainbow Pack"
Riley Gantt, 15, from Sherman Oaks, California is one of the four inspirational recipient's of the 2015 Nickelodeon HALO Awards for his work in the community! While most 10-year-olds were complaining about homework, Riley realized the importance of these assignments. She also knew that many students took for granted the ability to complete them. During a field trip to one of the elementary schools in her community, Riley had an eye-opening conversation with a girl in kindergarten. Like many other students, this young girl did not have the supplies to complete her homework because her family could not afford them. Inspired by the conversation, Riley founded Rainbow Pack, a non-profit organization dedicated to providing students with materials that will help make them successful learners, regardless of their economic circumstances. Even schools without a great deal of financial support manage to acquire supplies for the classroom. However, the real disadvantage for students occurs at home. Simple tools, like a pencil or a ruler, can be the difference between success and failure. When students are able to complete their homework, they perform better in the classroom and are less likely to drop out of school. With funds raised through fundraising, grants, social media and school supply drives, Riley has successfully donated over 9000 backpacks filled with school supplies to kids in the Los Angeles area. In all of the schools where Riley and Rainbow Pack have helped, the teachers attest that almost all of their students complete their homework and are more excited about learning! Watch Riley Gantt, along with her fellow HALO Awards honorees - Joshua Williams, Miami Beach, Florida, Ethan Cruikshank, 16, Mechanicsville, Virginia, and Ruchita Zaparde, 18, Plainsboro, New Jersey - receive their honors at the must-see concert event of the season, the 2015 HALO Awards, hosted by Nick Cannon, premiering Sunday, November 29th at 7pm (ET/PT) on Nickelodeon USA, TeenNick, Nicktoons, TV Land, CMT, Nick.com and the Nick App! For more information about the 2015 Nickelodeon HALO Awards and Riley's fantastic work, visit nick.com/halo-awards and rainbowpack.org. Congratulations to all Nickelodeon HALO Awards honorees! 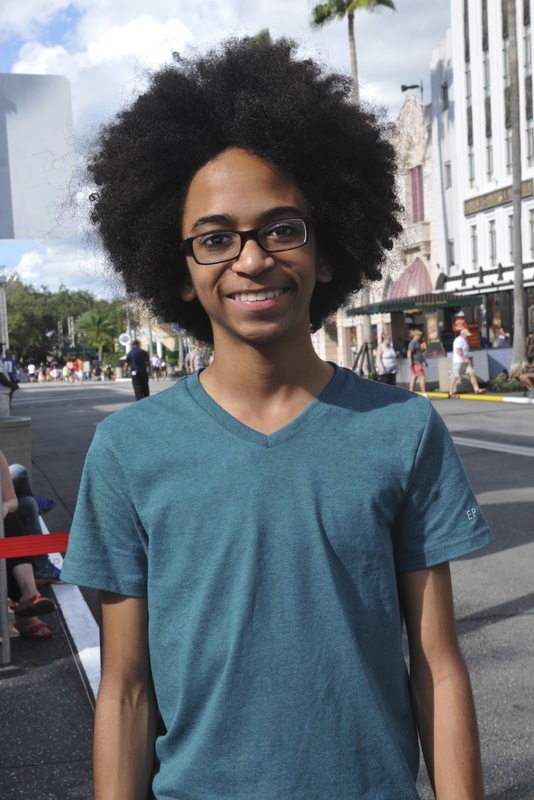 2015 HALO Awards Honoree Spotlight: Joshua Williams, "Joshua's Heart Foundation"
14-year old Miami Beach, Florida resident Joshua Williams is one of the four inspirational recipient's of the 2015 Nickelodeon HALO Awards for his work in the community! Joshua's commitment to eradicate hunger started with a roadside donation to a starving man when he was four and a half years old. Through William's organization, Joshua's Heart Foundation, he designed a food distribution system in local churches, schools and community centers, and continues to raise awareness of hunger and poverty at speaking engagements. "We have food drives and we have food distributions where we help people in our community," Williams said. His foundation has over 6,000 youth volunteers and has distributed over 1.1 million pounds of food in South Florida, Jamaica and Africa to date, and helped feed over 50,000 people nationwide. Like the three other honorees, Williams found out that he was selected for the HALO Awards by a drone which delivered the message. "I was just skateboarding in the park and all of a sudden this drone came down and surprised me," he said. Universal Orlando Resort will also be featured as part of the 2015 Nickelodeon HALO Awards for the first time in the history of Nickelodeon's community service recognition special. The show and organization honors teenagers that are making a difference in their communities. The HALO Awards, which is an acronym for "Helping And Leading Others," airs Sunday at 7 p.m. across Nickelodeon USA, TeenNick, Nicktoons, TV Land, CMT, Nick.com and the Nick App. 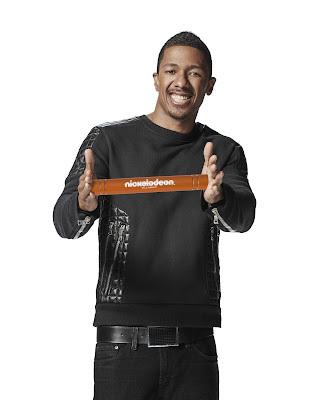 "There's no feat too big or too small when you think about actually helping your community," said host, creator and executive producer Nick Cannon. "All of these amazing honorees that we have with us right now come from different walks of life and actually have their own mission and their own passion and that's the beauty of HALO." The Universal Orlando segment of the show was recorded on Saturday 7th November 2015 and featured a performance from alternative rock band Walk the Moon. "One of the greatest things that has come from this amazing couple of years for us is that we found we have a really incredible fan base with young kids and families," lead singer Nicholas Petricca said. "Having a positive message and having a positive impact is important to us, in addition to just playing music for fun." The 2015 HALO Awards will also feature performances by Fifth Harmony, DNCE with lead singer Joe Jonas, Flo Rida and Tori Kelly. Justin Bieber will be presented the first-ever HALO Hall of Fame Award for his work with Make-A-Wish foundation. Those segments were recorded at New York's Pier 36 on Saturday 14th November 2015. 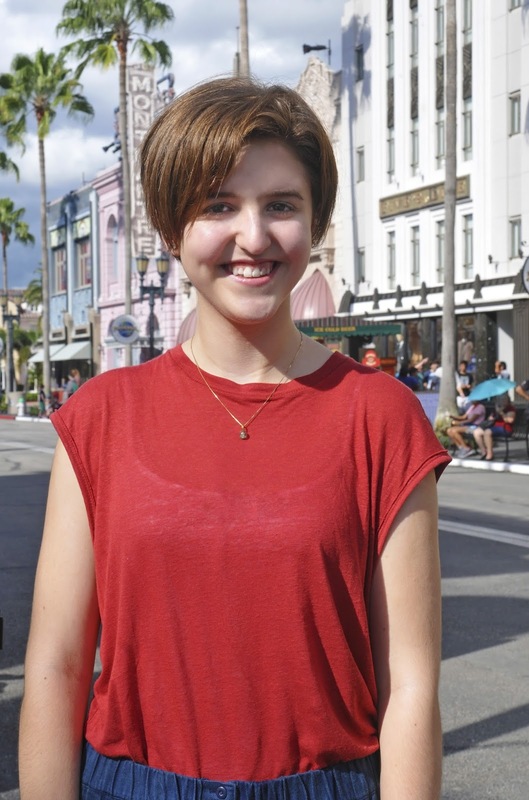 In addition to the surprise concert by Walk the Moon, the four honorees had time to enjoy Universal Orlando Resort. It was Williams' first visit. "We rode some roller coasters, met Optimus Prime and saw a parade," he said. "It was a really good time." 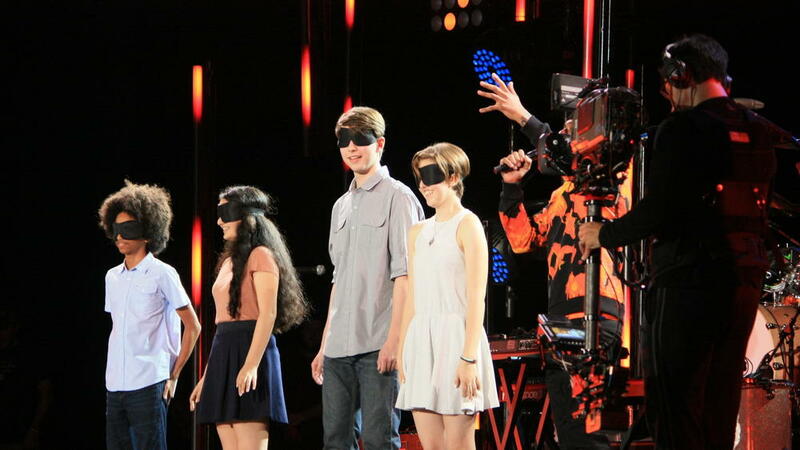 Watch Joshua Williams, along with his fellow HALO Awards honorees - Ethan Cruikshank, 16, Mechanicsville, Virginia, Riley Gantt, 15, Sherman Oaks, California, and Ruchita Zaparde, 18, Plainsboro, New Jersey - receive their honors at the must-see concert event of the season, the 2015 HALO Awards, hosted by Nick Cannon, premiering Sunday, November 29th at 7pm (ET/PT) on Nickelodeon USA, TeenNick, Nicktoons, TV Land, CMT, Nick.com and the Nick App! For more information about the 2015 Nickelodeon HALO Awards and Joshua's work, visit nick.com/halo-awards and joshuasheart.org. 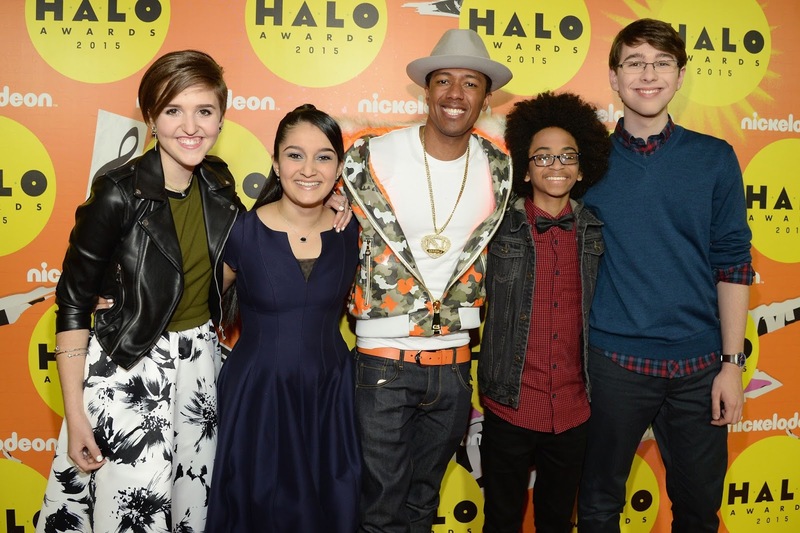 Congratulations to all Nickelodeon HALO Awards honorees! You can watch a exclusive interview with Nick Cannon and the honorees of the 2015 Nickelodeon HALO Awards at Universal Orlando Resort here on OrlandoSentinel.com! 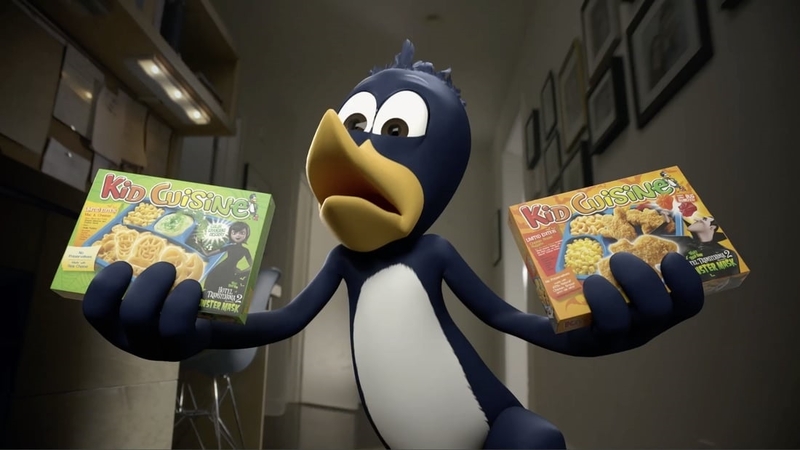 Entertaining new spot for popular kids meals features updated brand character K.C. Penguin and 'Hotel Transylvania 2' tie-in. CHICAGO, IL -- K.C. Penguin, the brand icon for KidCuisine kids meals, just can't seem to get away. That's the premise behind the new spot "On The Run," featuring 3D animation by Calabash via agency Nickelodeon Creative Advertising, New York. The new spot, directed by Matt and Jason Docter (aka The Docter Twins) and edited by Glenn Conte of Northern Lights, New York, features a clever tie-in to the new animated feature film starring Adam Sandler, as well as a revamped animated K.C. Penguin character. "We were excited to work with Nickelodeon Creative Advertising on this well-established brand and character," commented Sean Henry, Calabash's Executive Producer. "It is always a fun challenge to update an existing character. Our goal was to freshen up K.C. 's look without straying too far from the existing design. It was important that he remain recognizable and retain his personality and attitude." "On The Run" opens with a comically terrified K.C. Penguin running down a hall holding a Kid Cuisine meal in each hand and shouting, "they're coming!" The 'they' of course is the cast of Hotel Transylvania 2. Thinking he's safe behind a closed door, K.C. is immediately confronted by something even scarier, hungry kids who love the character-shaped chicken nuggets and mac n' cheese found in special Hotel Transylvania 2 Kid Cuisine meals. The spot ends with kids gone and K.C. sneaking up to the table to deliver his new signature line, "Fun tastes goo-oo-oo-oo-ood!." "K.C. Penguin is an iconic character, but the creatives wanted to take him to the next level," Wayne Brejcha, Calabash's Creative Director notes. "We gave him a more physical appearance and made his faux-hawk haircut look a bit more feathery. Ironically it takes huge effort, thought, experience and long hours to make KC fit in the setting and feel effortless in his animation." For Northern Lights editor Glenn Conte the creative challenge was taking all of the various elements (Calabash's 3D animation, the live action shots and footage from the actual film) and making it all work together seamlessly. A task, he notes, was made easier thanks to Calabash's understanding of the K.C. character. "To be able to work with a company like Calabash is great for an editor because they know how take an animated character to a whole other level and fully grasp its essence, its DNA," Conte says. "Besides the look, they added to his personality in a way that elevated the entire project. A spot like this takes a lot of teamwork, and working with Calabash was a pleasure." Henry adds, "Directors Matt and Jason Docter did a terrific job with the live action, capturing dramatic angles and lighting, and a sense of drama while still keeping it light for the intended family audience. Nickelodeon Creative is an agency that understands the animation process innately. They gave us clear communication about their own ideas, but were also open to ideas and approaches from us." NEW YORK, Sept. 21, 2015 /PRNewswire/ -- Play Fair – "a celebration of play and entertainment for all ages" – will bring new and beloved toy and pop culture brands together under one roof this February for an interactive and fun-filled live event open to families, collectors, and media. Powered by the Toy Industry Association (TIA) and LeftField Media, Play Fair will take place Saturday, February 13 and Sunday, February 14 at New York City's Javits Center North. The inaugural Play Fair is timed and co-located with the 113th edition of TIA's North American International Toy Fair, the largest toy trade show in the Western Hemisphere and a massive marketplace welcoming 30,000 manufacturers, distributors, importers, and sales agents from over 90 countries to New York City. "Play Fair will provide toy lovers of all ages with unique and unparalleled access to enriching immersive events and experiences built around the power of play," said Marian Bossard, Toy Industry Association SVP of Global Market Events. "It's a truly one-of-a-kind event for families and fans to explore nostalgic and innovative toys and brands in an all-ages atmosphere that can't be beat!" "We're humbled and thrilled to work together with TIA on Play Fair," said Greg Topalian, President of LeftField Media. "For more than a century, TIA has gathered the professional side of the toy world together at Toy Fair, and now families, fans, and collectors will finally get to experience this excitement inside their own event. Play Fair will be a space to create fun, engaging, and rewarding connections between brands, their current fans, and the fans of tomorrow – and get a glimpse at new toys before anyone else on the planet!" Play Fair will be headquartered inside New York's Javits Center and will turn all of Manhattan into a giant "game board," encouraging attendees to visit various iconic New York institutions and landmarks to make the most of their time in the city and unlock Play Fair discounts, exclusives, and rewards. "Our launch of Play Fair couldn't come at a better time, as we're seeing a growing number of studies and reports that underscore play's crucial developmental benefits to children, and its impact on the happiness and well-being of adults," added Steve Pasierb, TIA President & CEO. "We look forward to welcoming families from far and wide for a spectacular event filled with magical moments and playful experiences that they will be re-living and talking about long after they leave the show." LeftField Media, LLC is an events company focused on developing face-to-face events in a range of communities rooted in contemporary culture and shared passion. LeftField Media was formed in partnership in 2014 by Greg Topalian (President, LeftField Media), Britton Jones (President & CEO of Business Journals, Inc.), Mac Brighton (Chairman & COO of Business Journals Inc.), and Sharon Enright (Executive Vice President of Business Journals Inc.). While LeftField Media is a new company, its founders have over 100 years of combined experience in media and event production. With a keen sense of the ever-evolving needs of the industry as well as the new opportunities created by change, LeftField Media takes a clean slate approach to the business. Innovation and launching new events has the been the cornerstone of the notable success of the Business Journal Fashion Group as it has been through Greg Topalian's storied career as former Senior Vice President at Reed Exhibitions and founder of New York Comic Con. LeftField Media is headquartered in historic South Norwalk, CT. Visit www.leftfieldmedia.com to learn more. Fantastic news, congratulations Moody Gardens, Super 78 and Nickelodeon! GALVESTON, Texas, Nov. 27, 2015 /PRNewswire-USNewswire/ -- Moody Gardens, a world class attraction located in Galveston, TX has been selected to receive the 2016 THEA Award for Outstanding Achievement for its SpongeBob SubPants Adventure attraction. The announcement was made last week at the International Association of Amusement Parks and Attractions Expo (IAAPA). The SpongeBob SubPants Adventure is a one-of-a-kind interactive experience that allows guests to go on a submarine voyage to explore the world of Bikini Bottom with the help of their captain, Patrick Star. Visitors are able to choose their path through the wild and silly deep-sea adventure and have real-time conversations with Patrick. The attraction takes visitors from digital to real time through exciting 4D sensory elements which brings the adventure to life through scents, bubbles and bouncing beach balls. 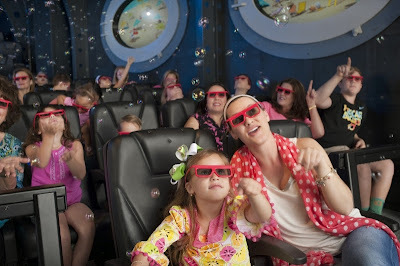 Children and parents wearing 3D glasses enjoy a wild and silly submarine voyage as they're immersed in special effects during the SpongeBob SubPants Adventure opening Memorial Day Weekend at Moody Gardens in Galveston, Texas. Moody Gardens partnered with Nickelodeon, Super 78 and SimEx-Iwerks Entertainment to create this innovative attraction that opened in May. Harnessing the power of modern computer technology and classic artistic techniques, a group of designers, engineers, fabricators responsible for many of the world's leading theme park attractions collaborated to create the SpongeBob SubPants Adventure. Super 78, an attraction design and production company based in Los Angeles, was also recognized with a THEA Award in the Technology Breakthrough category for the creation of their groundbreaking Gepettoo™ Animation Control System. This is a proprietary digital puppetry that delivers feature film 3D animation in real time used in the SpongeBob SubPants Adventure attraction. This Animation Control System allows a performer behind the scenes to control all aspects of the full-sensory experience on screen in front of audiences. The performer's voice becomes an on-screen character, and he has an unlimited palette of animation options which brings the character to life. The performer also runs the lights, sounds, bubbles, and scents with the push of a button. Children and parents view a brass dive helmet and crab trap near the Bikini Bottom mural before entering the new Nickelodeon SpongeBob SubPants Adventure. It [opened] Memorial Day Weekend at the Discovery Pyramid at Moody Gardens in Galveston, Texas. 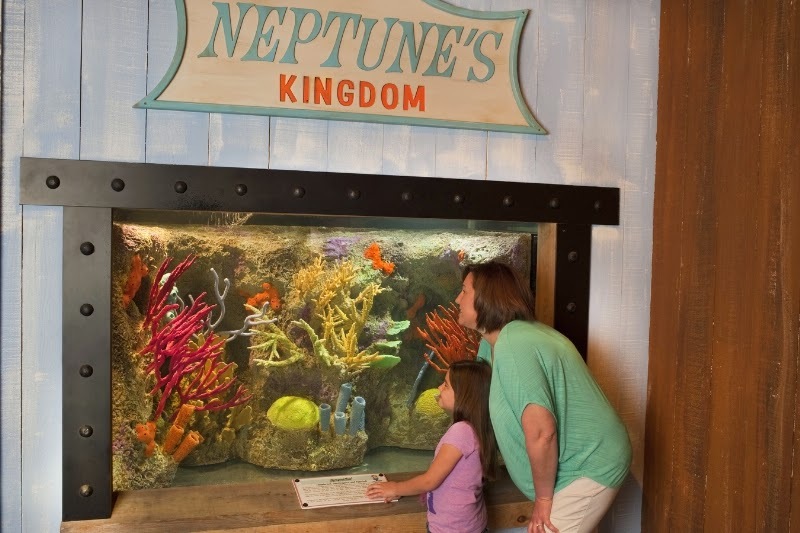 "We consistently strive to offer new and immersive experiences the whole family can enjoy together," said John Zendt, Moody Gardens President and CEO. "This was a highly innovative and creative team that created an exceptional attraction and we are honored to be receiving this THEA award." The Thea Awards were created by the Themed Entertainment Association (TEA) in 1994 to help realize a key mission of the association: bringing recognition to achievement, talent and personal excellence within the themed entertainment industry. TEA's Thea Awards have become internationally recognized as a symbol of excellence. The award will be presented to Moody Gardens at the 22nd Annual THEA Awards Gala scheduled for April 2 in Anaheim, CA. A mother and daughter view colorful coral in the Neptunes Kingdom aquariums in the Pre Show I area before entering the SpongeBob SubPants Adventure theater. The new attraction [opened] Memorial Day weekend at Moody Gardens in Galveston, Texas. This permanent attraction takes excitement to new depths in a non-stop whirlwind of surprises with fun for the whole family to enjoy only at Moody Gardens. Admission is $18.95 for adults and $16.95 for seniors and children. It is also included in a Moody Gardens Value Pass. For more information, call (800) 582-4673 or visit www.moodygardens.org. You can also follow Moody Gardens on Twitter and Facebook. Los Angeles based Super 78 received the 2016 Thea award for Outstanding Achievement: Technology Breakthrough for their creation of Geppetto ACS™, a proprietary digital puppetry that delivers feature film quality 3D animation in real time; it was announced today by the Themed Entertainment Association (TEA.) Additionally, Moody Gardens' SpongeBob Subpants Adventure, created and designed by Super 78 (using the Geppetto technology), was honored with the 2016 Thea award For Outstanding Achievement: Attraction. Super 78's President and Creative Director Brent Young and CEO and Executive Producer Dina Benadon, jointly stated, "We are both thrilled and honored, along with our amazing team, to be recognized by TEA for our Geppetto ACS™ technology. We are also privileged to have collaborated with the talented folks at Moody Gardens and Nickelodeon on the SpongeBob Subpants Adventure and we share in their excitement and congratulate them on their outstanding achievement." 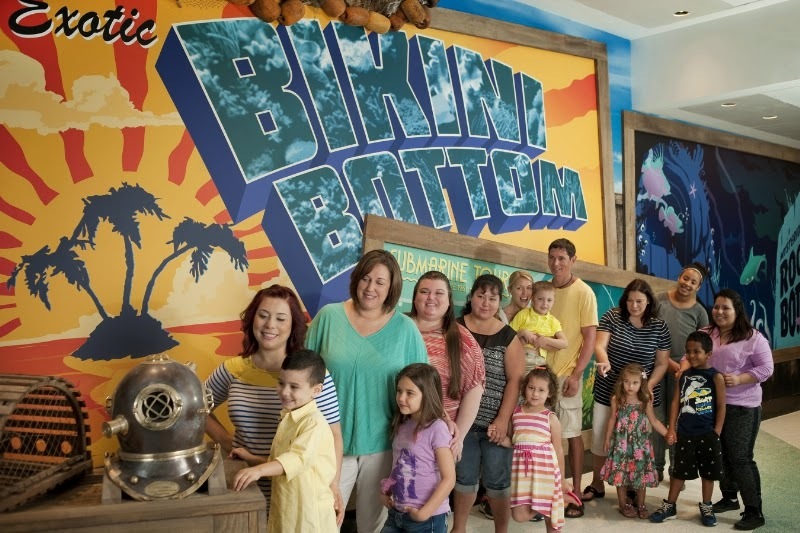 "Our objective is always to provide that fun, educational experience that is so important to parents and kids, and the SpongeBob SubPants Adventure attraction will achieve this in a new and exciting way," said Moody Gardens President and CEO John Zendt. 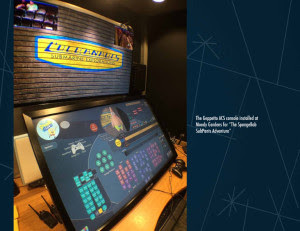 Through the Geppetto ACS™ groundbreaking technology, The Moody Gardens' SpongeBob Subpants Adventure was created and designed by the artists and technicians at Super78 in conjunction with Nickelodeon. The immersive and one-of-a-kind experience brings to life the internationally beloved characters in interactive exhibits, real sea-life aquariums and state-of-the-art 3D digital puppetry. Audiences can actually control the submarine while having a one-on-one conversation with one of the main characters. No two shows are ever the same. The SpongeBob Subpants Adventure marks Super 78's third collaboration with SimEx-Iwerks! And Nickelodeon joining Dora & Diego's 4D Adventure: Catch That Robot Butterfly and SpongeBob Square Pants 4D: The Great Jelly Race. Super 78's digital puppetry technology behind Moody Gardens' SpongeBob SubPants Adventure. The Thea Awards were created by the Themed Entertainment Association (TEA) to help realize a key mission of the association: bringing recognition to achievement, talent and personal excellence within the themed entertainment industry. From a modest beginning in 1994, the Thea Awards have become internationally recognized as a symbol of excellence. The public is welcome to attend the black-tie 22nd Annual Thea Awards Gala, which will be held April 2, 2016 at the Disneyland Hotel, Disneyland Resort, Anaheim California USA. Tickets go on sale in early 2016 at http://www.teaconnect.org. The name of the award is a play on three words: the first is "Thea," the Greek goddess from whom all light emanates. Thea was the mother of Helios (the sun), Eos (the dawn), and Selene (the moon). The second key word is "Theater," a word derived from the goddess Thea. The third word, is TEA, for the Association. Don't forget to visit Moody Gardens this winter to see their brand-New ICE LAND: Ice Sculptures with SpongeBob SquarePants exhibit in partnership with Nickelodeon! The big day is here, and to celebrate Christmas Day (Friday 25th December 2015), Nickelodeon UK, Nicktoons and Nick Jr. have unveiled their Christmas Day programming highlights! With everyone's favourite shows, specials and movies, Nickelodeon has your Christmas telly all wrapped up! 10:00am: The Thundermans - Winter Thunderland: Max is at his Scroogiest on Christmas Eve, until the Ghosts of Christmas Past, Present, and Future show up to put him in the holiday spirit. 10:30am: iCarly - iChristmas: When Spencer accidentally sets fire to Carly's presents, she wishes that she had a normal brother. A Christmas angel shows Carly what her life would be like. 2:30pm: Game Shakers - A Reggae Potato Christmas: The Game Shakers visit Double G on the set of his live, self-indulgent Christmas special. Nick UK will also be showing a huge selection box bursting full with episodes the hit Nick shows "Sam & Cat", "iCarly", "Victorious", "Every Witch Way", "The Thundermans", "Instant Mom", "See Dad Run", "Bella and the Bulldogs", "Wendell and Vinnie", "Genie in the House", "Make it Pop", "How to Rock", "Summer in Transylvania", "Renford Rejects", "House of Anubis" and "Life with Boys"! 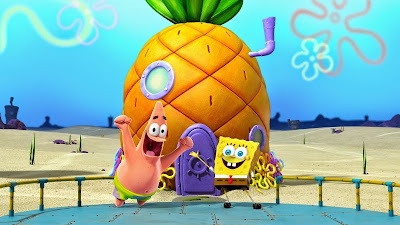 8:30am: SpongeBob SquarePants - Christmas Special: Join the President of the SpongeBob SquarePants Fan Club, Patchy The Pirate and the gang to find out why there's nothing better than Christmas in Bikini Bottom! 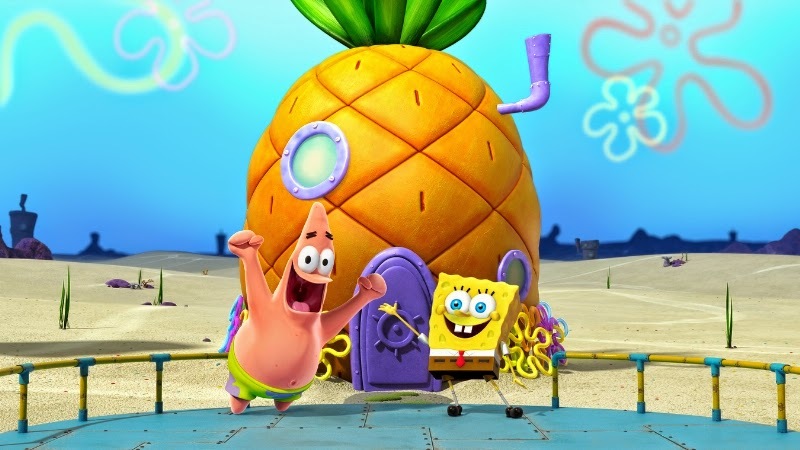 10:00am: SpongeBob SquarePants - It's a SpongeBob Christmas! : A very special seasonal adventure with SpongeBob and friends in Nickelodeon's first ever full-length stop-motion animation! 1:30pm: The Fairly OddParents - Christmas Every Day: Everyone loves Christmas. Who wouldn't want to celebrate it every day? Timmy wishes for 365 days of Christmas a year, but soon finds out that nobody likes it! 2:00pm: The Fairly OddParents - Merry Wish-Mas! : When Timmy doesn't get what he wanted, he wishes up magic coupons so everyone can wish for the gifts they didn't get. But now nobody cares about Christmas - or Santa - any more! 4:30pm: SpongeBob SquarePants - It's a SpongeBob Christmas! 5:00pm: Breadwinners: A Crustmas Story: SwaySway and Buhdeuce stay up all night waiting for Santa Crust to come - while reading each other quazy holiday stories and singing Crustmas Carols. 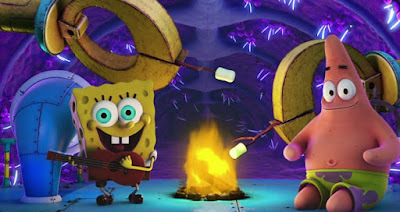 10:30pm: SpongeBob SquarePants - It's a SpongeBob Christmas! Plus, catch episodes of NickToon favourites "Harvey Beaks", "SpongeBob SquarePants", "The Fairly Odd Parents", "Sanjay and Craig", "Breadwinners", "Teenage Mutant Ninja Turtles", "Oggy and the Cockroaches", "Grizzly Tales" and "Get Blake!"! 8:00am: PAW Patrol - Pups Save Christmas: When Santa's Sleigh crashes and the reindeer run off - Ryder and the Paw Patrol have to help Santa finish delivering presents and save Christmas! 8:30am: Peppa Pig - Peppa's Christmas: On Christmas Eve Peppa and George post letters to Father Christmas. The family buy a tree from Miss Rabbit's tree shop. Soon it's time for bed, but Peppa decides to stay awake! 8:45am: Peppa Pig - Mr Potato's Christmas Show: It's Christmas time! The Playgroup are going to see a special performance at the theatre. For some it is their first time in a theatre. 8:50am: Peppa Pig - Santa's Visit: Peppa is worried when Santa brings everyone but her a present, but he soon returns to deliver her missing present in person. 9:00am: Ben and Holly's Little Kingdom - Christmas Episode (Part 1): The Elves and Fairies are busy with Christmas preparations. Everything is going perfectly - until the King, the Queen, and the Elf get trapped. 9:15am: Ben and Holly's Little Kingdom - Christmas Episode (Part 2): Everyone is stuck, and to make matters worse, they are all heading towards Lucy's house. It looks like Christmas day will be especially magical! 9:30am: Shimmer and Shine - Santa's Little Genies: It's Christmas Eve and Leah forgot to mail Zac's letter to Santa! Now Zac won't get a present this year. Can Shimmer and Shine help? 9:58am: PAW Patrol - Pups Save the Treats; Pups Get a Lift: Mr. Porter's van full of puppy food slides on the ice near the shore in 'Pups Save the Treats', and in 'Pups Get a Lift', Katie and her cat are on a stranded chair lift, leaving them with no way down! 4:59pm: PAW Patrol - Pups Save a Pizza; Pups Save Skye: Alex and Mr Porter are delivering pizza for a big party when the van spins out of control in 'Pups Save a Pizza', and in 'Pups Save Skye', Skye crash lands in the snow, and needs a rescue of her own! 7:00pm: Puffin Rock - Keeping Cosy: Mossy finds a dangerous way to keep warm on a very cold day. 6:00am: Thomas and Friends - Last Train for Christmas; Long Lost Friend: There are so many passengers trying to get home that Connor can't carry them all in 'Last Train for Christmas', and then in 'Long Lost Friend', Gator is coming back to Sodor, and Percy is excited. 6:30am: Dora the Explorer - Dora Saves Three Kings Day: Dora, Boots and Diego are celebrating Three Kings Day, but Swiper accidentally scares the animals away. There can't be a Three Kings Day party without the animals! 7:30am: Zack & Quack - The Pop-Up Christmas Calendar: Zack gives his friends a special calendar to help them count down the days until Christmas, but Quack and Fluffy accidentally lose the Christmas surprises inside. 7:45am: Zack & Quack - Zack's Christmas Letter: When Zack's mailbox gets frozen, he sets out to deliver his letter to Santa Claus in person! But getting to the North Pole and finding Santa proves harder than expected. 8:00am: Team Umizoomi - Santa's Little Fixers: It's Christmas Eve and someone is calling from far away... It's Santa Claus! Santa's Toy-Making Machine is broken - it's not making any toys! Can the team save Christmas? 9:59am: Peppa Pig - Snow: Peppa and George have fun in the snow. They make footprints, play snowballs and build a snowman. 10:04am: Peppa Pig - Santa's Grotto: It is Christmas and the children all visit Santa's Grotto to tell him what they would like for Christmas. 12:00pm: Bubble Guppies - A Very Guppy Christmas! : When Mr. Grouper's van gets stuck in the snow, Mr. Claus and Snowflake come to the rescue! With all bells jingling, the Guppies will have their first sleigh ride! 12:30pm: Peppa Pig - Cold Winter Day: It is a very cold winter day. Peppa and George are wearing their hats, scarves, mittens and coats. They want to jump in muddy puddles, but the puddles are all frozen and slippery. 12:35pm: Peppa Pig - Sun, Sea and Snow: It's a lovely day to visit the beach - or it would be, if it wasn't snowing. Miss Rabbit's snow plough saves the day. Mummy Pig goes for a swim, but finds it colder than expected. 8:00pm: Bubble Guppies - A Very Guppy Christmas! 4:30pm: Olive the Ostrich - Olive in the Arctic: Olive pops up in the arctic and helps a polar bear who is floating in the wrong direction! Nick Jr. and Nick Jr. Too will also be airing stockings full of episodes of hit Nick Jr. shows "Peppa Pig", "Ben and Holly", "PAW Patrol", "Alvinnn!!! And the Chipmunks", "Dora and Friends: Into the City", "Puffin Rock", "Lily's Driftwood Bay", "Shimmer and Shine", "Blaze and the Monster Machines", "Zack and Quack", "Bubble Guppies", "Little Charmers", "Wanda and the Alien", "Angelina Ballerina: The Next Steps", "Humf", "Pocoyo", "Olive the Ostrich", "Poppy Cat" and "Tickety Toc"! Megan Lee - Since Season One of "Make It Pop"
Executive Treatment - "SpongeBob SquarePants"
Playoffs - "Bella And The Bulldogs"
Trouble At Pet Me! - "Henry Danger"
How to Make a Pumpkin Pie - "Game Shakers"
Chloe is Born - "The Thundermans"
Trash Can Island - "Sanjay And Craig"
Sky Whale Holiday Edition - "Game Shakers"